Audi plans to bring the e-Tron To India by the end of 2019. Close on heels of the launch of the production version of the Mercedes-Benz EQC electric car, Audi brought in its contender. It's called the e-Tron and we've already given you a dose of what the car is all about. 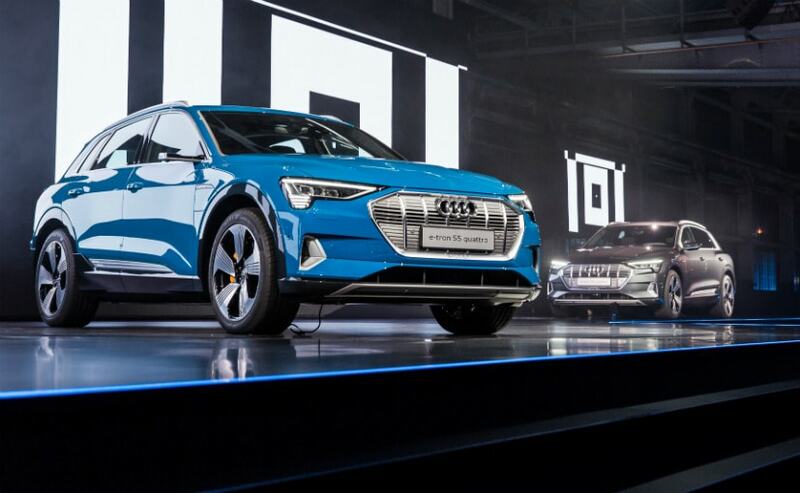 While there are those wondering if electric cars will be appreciated, the bookings received by Audi for the e-Tron speak volumes about the popularity of EVs. The German luxury carmaker has received 10,000 pre-orders for the e-Tron, it said in a presentation at the 2018 Audi Global Summit on September 18 when the electric SUV was launched in Europe. Audi has already started with the production of the E-Tron in Belgium on September 3, 2018 and the deliveries are expected to start in Europe by the end of this year. The e-Tron has been priced at 79,000 Euros or ₹ 66 lakh approximately in the European market and Audi has confirmed it for India by the end of 2019. Powering the E-Tron are 432 cells put together in 36 modules which are assembled underneath the floor and have a combined power of 95kWh. The battery bank sends power to two electric motors, a 125kWh motor assembled at the front axle and a 140kWh motor on the rear axle. In combination, both the motors churn out 355 bhp and 561Nm of peak torque. However, in the boost mode the power output goes up to 408 bhp and the SUV can clock 100 kmph from standstill in just 5.7 seconds. Without boost mode, it does the same sprint in 6.6 seconds. Moreover, abiding by the Audi SUV standards, quattro is standard on the e-Tron.